In order to write this movie review, I just had to turn off my podcast about Planck Time, quantum theories of gravity and apologetics. So if my points and topics seem especially esoteric and meta-ish, that’s why. 🙂 Last night, Brazle, Casey and I gathered to watch The Little Mermaid. Casey brought her totally legit copy of the movie that was not in an orange jewel case and that did not have “The Little Mermaid” written on it in Magic Marker. That was a clutch move by her. But even if she hadn’t brought her copy, I would’ve gladly paid to rent it, for this movie isn’t just a good animated film – it’s an unqualifiably great movie. I’m getting the red line of misspelling for “unqualifiably”, but I don’t care – this movie is so good I’ll gladly make up words to describe it (let’s just say it’s in homage to the way Scuttle makes up names for human stuff). Anyway, I would give this movie an 8.1/10 – it has memorable characters, good pacing, attractive aesthetics and, most of all, fantastic songs. A little perspective on the making of the film. In the seventies and eighties, Disney released a lot of good animated films without ever releasing any great ones. The nadir of the period occurred with the 1985 release of The Black Cauldron, which came in the middle of a change in upper management and which totally bombed at the box-office. New Disney studio chairman Jeffrey Katzenberg personally edited at least three minutes out of the film, marking the nadir of the nadir and officially confirming a complete catastrophe of a production cycle. After that, Disney slowly began to crawl out of the depths in which it found itself. The Great Mouse Detective, a solid-yet-conservative release, did well in 1986, so the studio followed it up in 1988 with the more stylish and ambitious Oliver & Company, which also did well. After two straight box-office winners, Disney was ready to go for the gold. It was in that push that The Little Mermaid was created. 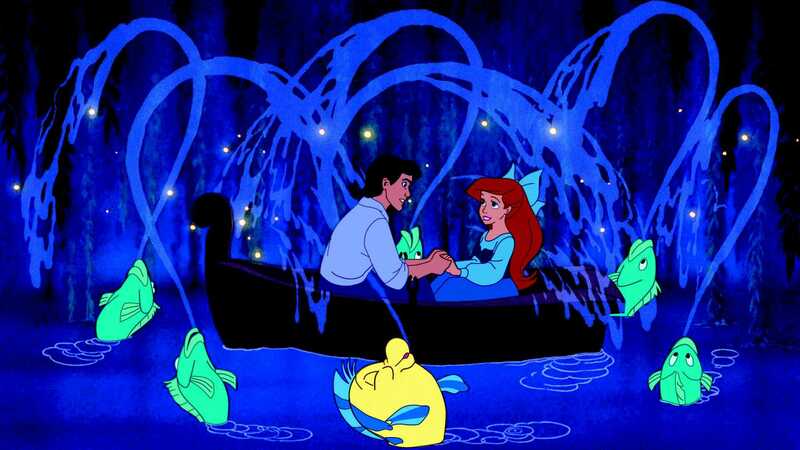 Eric and Ariel fall in love due to the great animation and singing happening around them. TLM had more money and re-sources dedi-cated to it than any animated feature in a very long time. So much manpower was required that Disney had to establish a com-pletely new ani-mation unit and then use it to get all the coloring and inking done. 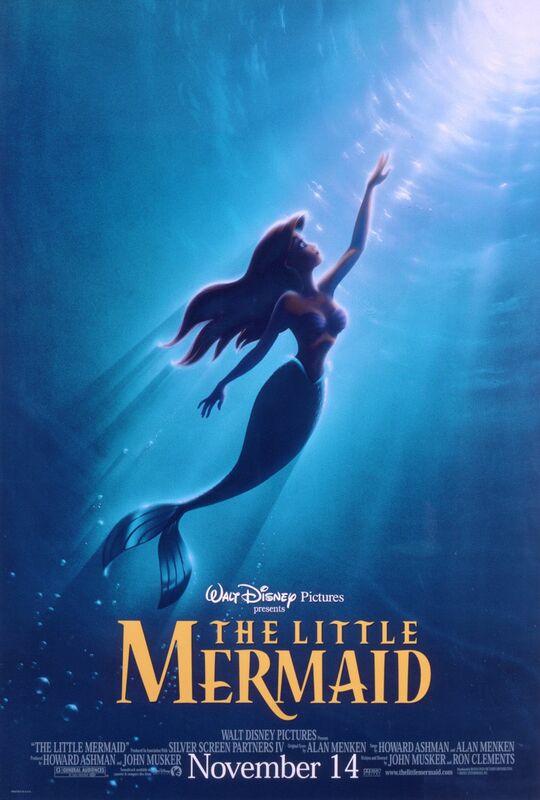 Just the underwater scenes featured more special effects than any other Disney animated feature since Fantasia, and that movie came 49 years earlier!!!!!! Of course, that begs the question – what was going on during those 49 years??? How could Fantasia have more effects than any film for the next half a century? It’s not like there were technical limitations – the technology was there in 1940!! Disney just wasn’t using it!!! That would be like James Cameron making Avatar in 2009 and then never using 3D again until AD 2058 just because he didn’t want to. That seems absurd, right? In this case, I am going to assume Disney either limited special effects due to perceived budgetary constraints or a perceived lack of necessity; it seems too cynical and ridiculous to blame it on sheer laziness and laurel-resting. But, considering the triumph that was and is The Little Mermaid and considering the desolation that their animation department became in the 70’s and 80’s, I can’t help but think there had to be some laziness involved. It isn’t logical to not do something if it can yield such strong results. Alas. The point is, The Little Mermaid got more attention than ever before and it worked. This film has great visuals and smooth animations, making it easier to forget one is watching an animated feature. Current Disney CCO John Lasseter measures animation techniques by how much they add to or take away from the story, and in the case of The Little Mermaid, the completely add to it. Ariel, Flounder and Sebastian are happy Under the Sea. Another pro-duction decision that raised The Little Mermaid to previously unseen heights was the return to incor-porating lots of musical numbers. Of the films Brazle and I have watched so far, this has the best songs by far. Actually, it has some of the best songs of any Disney film. Alan Menken and Howard Ash-man killed it with “Poor Unfortunate Souls”, “Kiss the Girl”, “Part of Your World” and “Under the Sea”, so much so that they won an Oscar for both best score and best song as well as the Golden Globe for best score. It’s a breathtaking achievement, and it helped usher in the so-called Disney Renaissance of animated films that would feature some of the best and most memorable songs ever. I feel like those guys were about twenty years ahead of the trends, because their songs resonated with moviegoers in the same way that the television show Glee does, and Glee started in 2009, exactly twenty years later. If Oliver & Company brought slick style and charisma, The Little Mermaid tapped into a deeper part of the soul where unbridled affection for melody and rhythm live. I’ll say it again – it’s a breathtaking achievement. At this point, I’m sure there is more I could say, but it seems more appropriate to simply say, “Go watch this movie.” It is a colossal motion-picture achievement – memorable characters, pleasing aesthetics, good pacing and outstanding songs all come together to make one of the best Disney films ever. The Little Mermaid is a winner. 8.1/10. 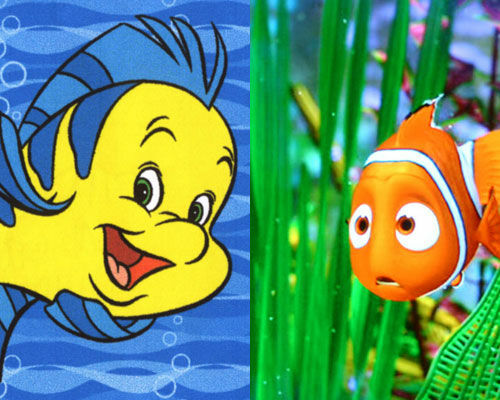 Nemo and Flounder are analogous. Please comment, and feel free to email me your thoughts at grant@grantstevensgroup.com. Grant Stevens is really enjoying writing reviews of all of Disney’s traditionally animated films. When he is not watching old kid’s movies, he likes to watch modern kid’s movies. He also likes basketball and pizza and Qdoba. He is the founder of the Use Ironic Correctly Society, and he is the greatest writer to ever not get paid to write. In addition to writing words, he also writes music. Please check it out at www.grantstevensgroup.com. My favorite movie ever…. 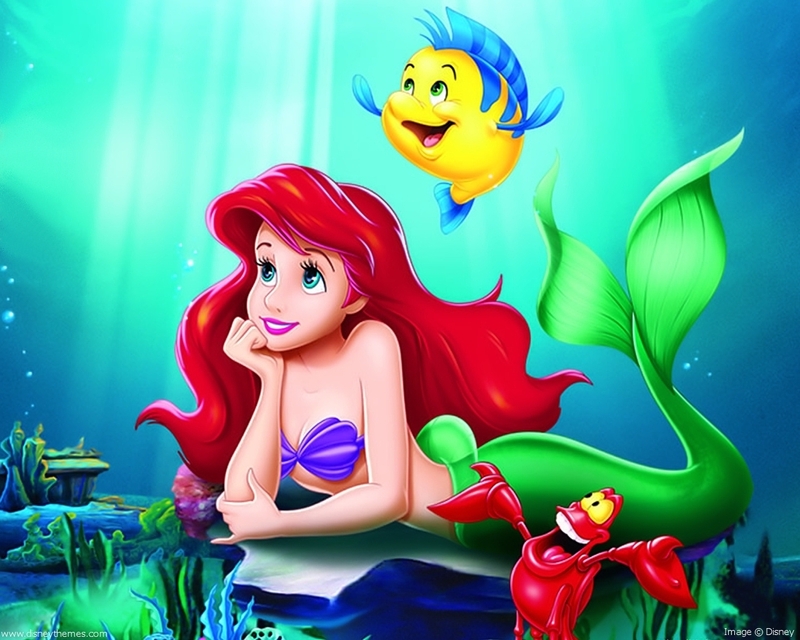 I am watching Little mermaid since my childhood and I feel again young when I watch this cartoons again…:) sweet memories of my childhood. Thank you for sharing! It’s great to be reminded of the sweet parts of life, isn’t it?